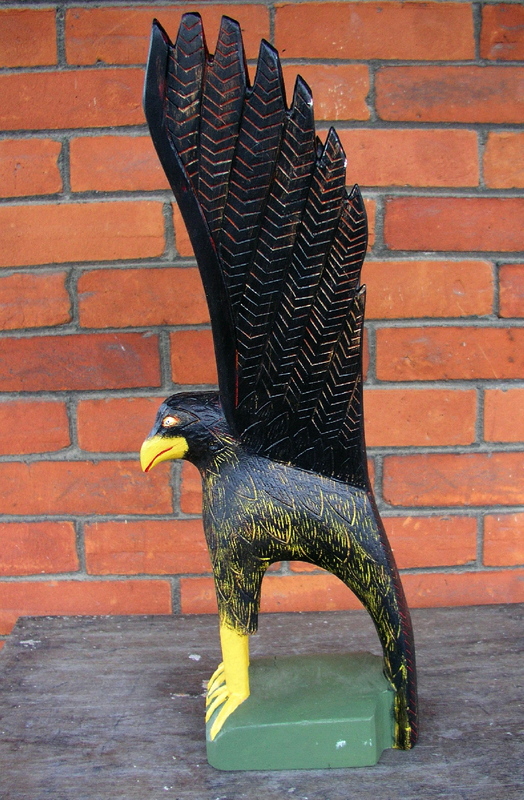 This is a carving by C. Arturo, (late) of North Bay, Ontario. We don't yet know much about the artist. 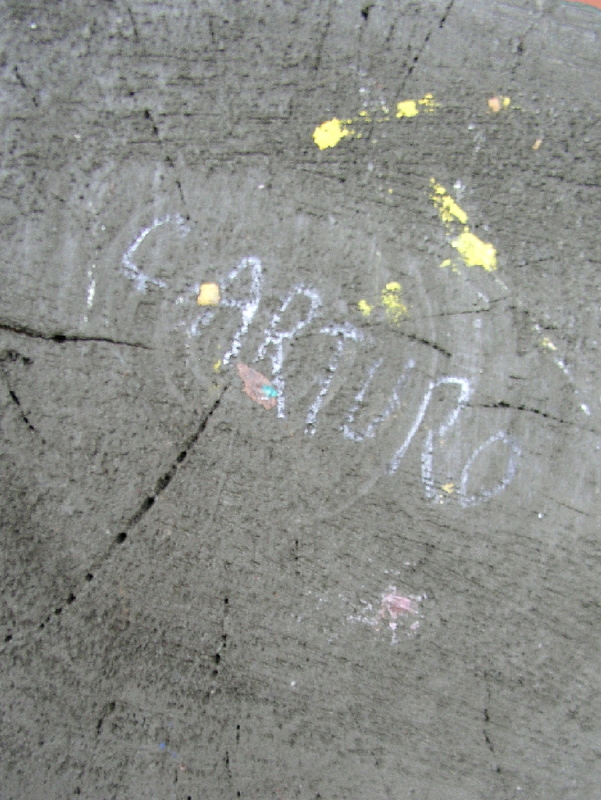 To date we know that the recently deceased Mr. Arturo was of Italian decent, had spent many years working locally as a trim carpenter, and had created carvings in his spare time. 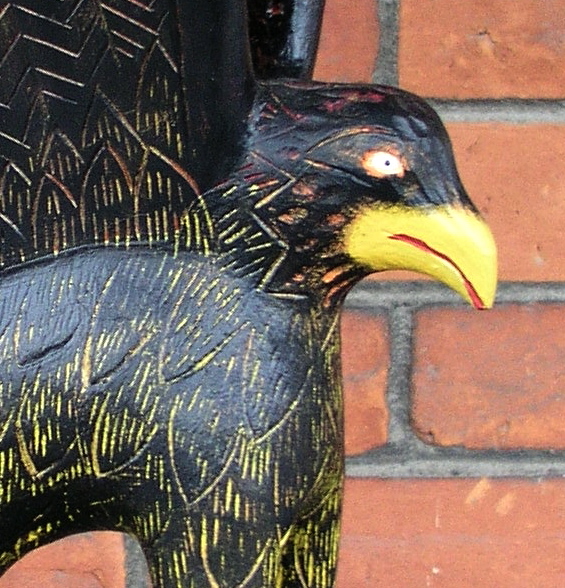 His highly detailed figures and birds are expertly carved and painted, and portray great character and humor. 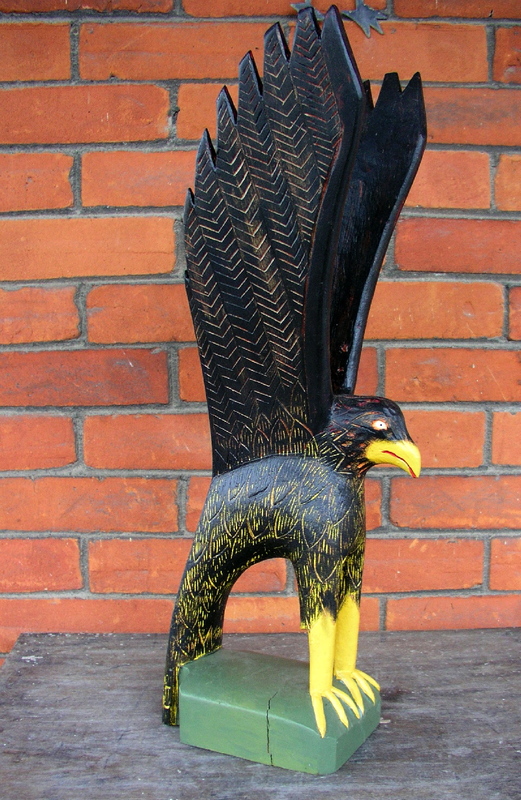 His themes include athletes, frontier figures, remembered European grape workers, and fantasy birds.This stylized black eagle is in excellent condition. 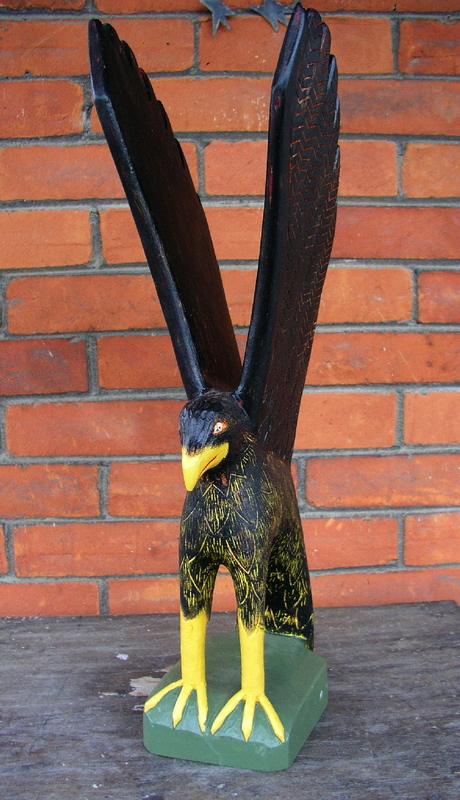 8" long, 21" tall, 5" wide. Signed on the bottom.